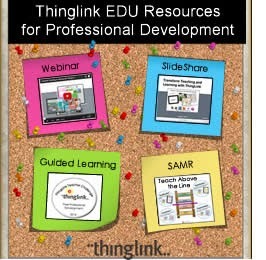 This summer I spent much of my work time helping educators learn to embrace the power of ThingLink as a tool for Teaching and Learning. Along the way, I created a wealth of resources using a variety of formats to accommodate the learning needs of busy teachers. The resources created have been collected and curated into one interactive image. 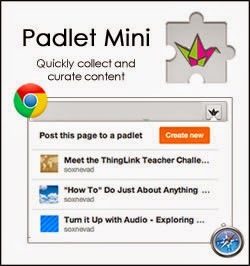 I believe they are valuable for personal learning needs, as well as for use during professional development offerings. They were created to be shared and reused. Feel free to embed this interactive image into your own digital space. You can use, remix and share the resources when working with other educators to save yourself the time and trouble of reinventing the wheel. Enjoy! Readers of the Huffington Post today will discover a wonderful article featuring ThingLink and three amazing educators, Jamie Forshey, Lisa Johnson, and Sue Fitzgerald. 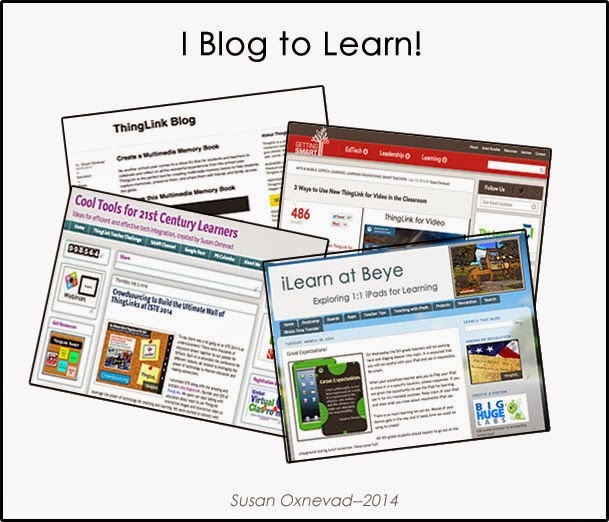 The article by CM Rubin, The Global Search for Education: Pictures with Links highlights examples of innovative ways to use ThingLink for teaching and learning along with explanations provide by these three creative educators. Check out The Global Search for Education: Pictures with Links on the Huffington Post. One way of doing so is by using digital writing and Google Docs, the documents editor available in Google Drive. Since Google Docs is collaborative and available 24/7, students using Google Docs often write more frequently and better than when given traditional paper and pencil writing tasks. Join me and Simple K 12 for a online event and learn how to use Google Docs to thoughtfully incorporate digital writing into the curriculum. We will explore ways to fully utilize the latest Google Docs features to help you and your students embrace digital writing. 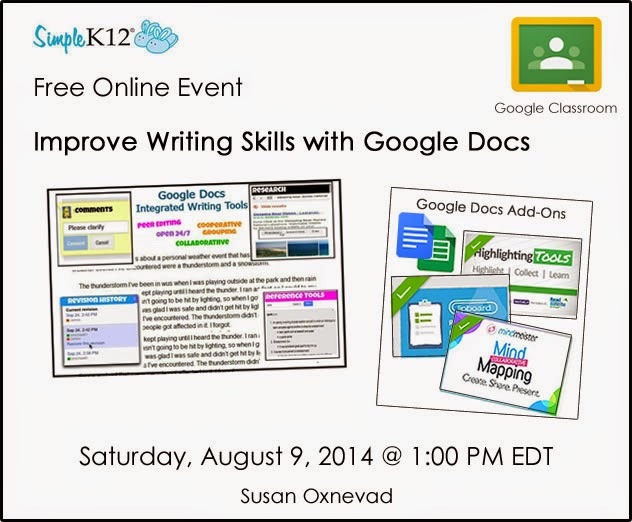 Learn to use built in research and reference tools available in Google Docs to redefine writing. Explore ways to incorporate peer editing and collaboration into writing instruction. Take a peek at the Google Classroom to learn how to manage digital writing assignments. Explore the use of Google Docs Add-Ons as options for adding functionality to Google Docs. Learn to help students become digitally responsible by teaching them to credit sources. Good news! This webinar is one of 6 webinars offered throughout the day during Simple K-12’s free online event on August 9, 2014. Learn more about more great webinars and register for this free online event. EdTech You Should Know is a new show in the Instructional Tech Talk network of podcasts, created and facilitated by innovative educator Jeff Herb. The show features one educational technology tool per episode that is worth knowing about. The episodes are less than 10 minutes and they are designed to offer educators a taste of the great EdTech that’s out there. 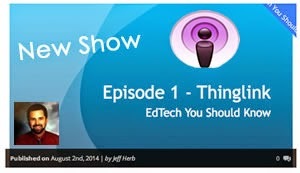 The first episode of EdTech You Should Know features Thinglink, a tool that Jeff uses himself. The interview with ThingLink Founder and CEO Ulla Engeström was recorded live at ISTE. We had a great time chatting with Jeff in the middle of the noisy exhibitor hall. 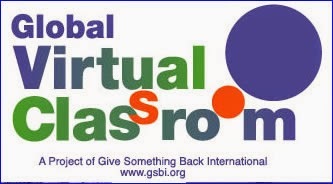 For many years my dear friend and mentor, Janet Barnstable, has been part of an amazing Global collaborative project, The Global Virtual Classroom (GVC). As we approach the start of the school year and registration opens for this year’s participants, I asked Janet to write a guest post to share this great learning opportunity with readers of this blog. I hope you will consider connecting and collaborating internationally through GVC. The Global Virtual Classroom vision is to empower, enable, and connect students around the world using Internet technology. Teacher and students must be willing to make a serious commitment to collaborating with their partner schools for the duration of the project. Our emphasis is on teamwork across cultural and geographic distances, which is much harder than working together in the same room. Three schools are teamed by the GVC into a single team. That team works together to create a website about a world issue that they have chosen collaboratively. This is a full year commitment. Schools need strong collaboration skills, as the 3 schools in each team are separated geographically, but need to work together as one. Teacher guided Primary (Grades 1-­7) and Secondary (Grades 8­-12, or equivalent) classes and youth groups around the world that have access to the Internet and know or can learn to use Google Sites. Why would a teacher and class take on this task? Build on each person’s strengths to create a whole; the group is better together! Nothing teaches faster than learning from each other. To see what others have done, look here. The Primary division is listed first, followed by the Secondary. If you have questions, contact our Program Manager, Janet Barnstable. Janet Barnstable has participated in the GVC programs since its inception in 1996. Now retired, she devotes her time and energies to helping other teachers experience the joys and survive the anguish of International collaborations. Janet has been involved in International collaborations since the early 90’s having begun with an 800 number supplied by the Archdiocese of Chicago and a 300 baud modem! How times have changed! Janet has been appropriately and affectionately described by Vicki Davis on the Cool Cat Teacher Blog as “A Global Collaborative Pioneer”.